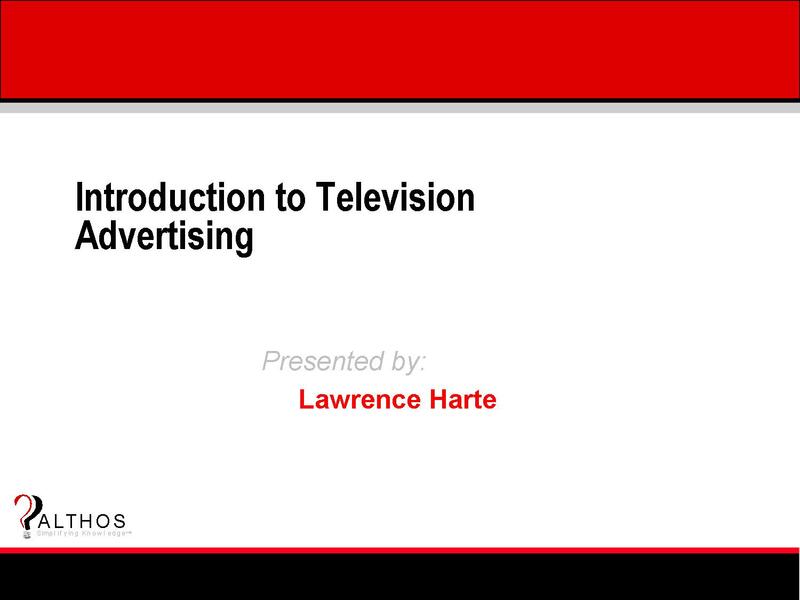 This tutorial covers the TV advertising industry, how TV ad systems work, advertising economics, advanced TV advertising options, and TV advertising systems are evolving into targeted interactive marketing networks. Between 2004 and 2009, over 1/3rd of money budgeted on television advertising campaigns ($17 billion per year in the United States) had shifted to Internet advertising. Television advertising is changing to better compete and in some cases outperform Internet advertising. TV systems have been evolving into two-way media distribution networks (cable modems, IPTV, mobile video). This allows TV systems to better identify who should receive certain types of ads and to get immediate feedback on how they are reacting to the commercials. You will discover how addressable advertising can be used to better select commercials for viewers and how interactive commercials allow viewers to select, store, and expand (telescope) commercials. These advanced advertising systems can provide more value for the viewer, create more sales for the advertiser, and earn more revenue for the broadcaster. The tutorial describes the roles of TV ad agencies and how some of them are starting to change to take advantage of new targeted advertising options. This includes ways that ad messages can be linked (integrated) across multiple media channels (such as TV networks and the Internet). You will learn new efficient and effective ways to produce quality and efficient television commercials and new ways that advertisers can setup and control their own TV ad campaigns using web portals. Discover some of the new tracking capabilities that are installed in set top boxes that provide viewing information back to the television system. This viewer tracking software allows an advertiser to learn if their ad was watched and for how long the commercial was viewed.